Boards and investors of leading corporations are now taking more active and questioning positions on risk management. Striking a balance between the potential opportunities unlocked by appropriate risk-taking and potential losses requires expertise and a clear risk management strategy that is aligned with broader business objectives. Our experience shows organizations often underestimate critical business and operational risks by over-reliance on experience and overconfidence in ability to mitigate. More robust risk management generates value, prevents unforeseen losses and creates significant savings (e.g. insurance). 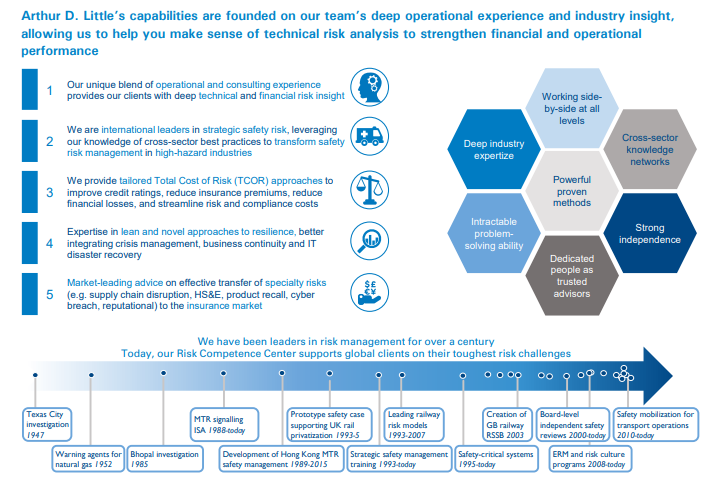 This requires deep operational experience, a clear, tailored approach to calculating the Total Cost of Risk (TCOR), new approaches to business resilience and insurance market knowledge.